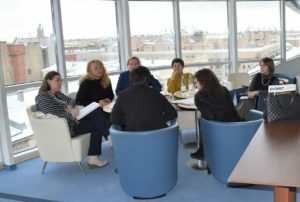 Starting from the 17th January Joint Technical Secretariat (JTS) has put major efforts on assistance to Applicants and partners in development of the project ideas providing individual consultations in Estonia and Russia. Special attention was paid to the use of the Electronic Monitoring System (eMS) as the key tool of the projects preparation and management system. – support to local and regional good governance. 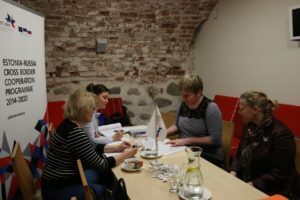 Depending on the type of the support needed Applicants and partners had opportunity to receive it in remote way: by telephone and e-mail (on daily basis), or to visit main office of the JTS in Tartu or Branch Offices in St.Petersburg and Pskov. 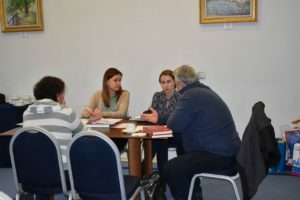 Special missions of the Programme’s consultants were organized to Pskov on 28th February and to St.Petersburg on 23rd and 24th March to deliver individual consultations for organizations from St.Petersburg, Leningrad and Pskov regions. Below statistics can also give some ideas on the level of the interest to the Programme as instrument for cross-border cooperation development. Taking into consideration decision on prolongation of the 1st Call for proposals JTS will continue delivery of the individual consultations in main office in Tartu and Branch Offices in St. Petersburg and Pskov. Guidelines of the 1st Call for proposals are published on our website HERE.